A recent report by the team over at XDA-Developers suggests that the highly anticipated Fornite Mobile for Android devices, slated for Summer 2018, will actually launch on August 9th as an exclusive for the upcoming Samsung Galaxy Note 9. In addition, the launch video for the Samsung Galaxy Note 9 will be centred around Fornite Mobile and purchase of the device will also come with free V-Bucks, free skins, and other themed content. While this information is provided by the original author from undisclosed sources and should be taken with a grain of salt, XDA has also provided some insight into the possible installation process of the Android app. According to the editor-in-chief, evidence suggesting that the mobile game may not be available on the Google Play store but will install directly via the web browser instead. In lieu of this, Reddit user thesbros followed instructions embedded in the source of the Fortnite Mobile page on Epic Games’ website to access the images used to guide Android users through the installation process. 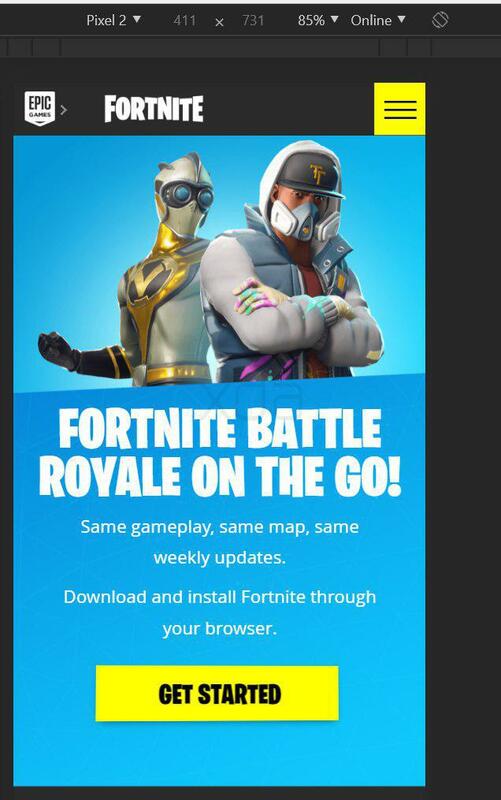 It is very possible, of course, that Epic Games has since changed their mind about bypassing the Google Play Store and have simply neglected to remove this material from their website but we won’t know for sure until an official announcement from Epic is made on or prior to the launch of the Fornite Mobile for Android.